Last November, a group of parents* representing 15 former and current band students at T.C. Williams High School met with Principal Suzanne Maxey, Band Director Carlos Gonzalez and Athletic Director Steve Colantuoni to discuss the ongoing conundrum of students exiting the band program at 9th or 10th grade—before reaching the pinnacle of their high school band experience—because of the marching band requirement. Under the current program of studies, band students in 10th grade or above are required to enroll in a separate half-credit marching band class that meets outside of the regular school day. It is not a curriculum requirement of the state Board of Education; rather, it is imposed on school divisions by the Virginia Band and Orchestra Directors Association (VBODA). There’s no similar additional course requirement for choral or orchestral students. T.C. students participating in a Virginia High School League (VHSL) fall sport—cross country, football, volleyball, field hockey, cheerleading, and golf—are exempt from the marching band requirement. Most area high schools have a similar marching band requirement, and many of them do not grant an exemption for fall-sport athletes. Nevertheless, only about one-third of 8th-graders in Alexandria continue their band participation in 9th grade, which is one of the lowest retention rates among the VBODA District X schools. Some students give up band because they participate in year-round sports such as rowing or swimming that prevent them from attending after-school marching band practices or weekend performances and competitions, while others are simply not interested in marching band as an extracurricular activity. Some continue to study their instruments privately and play in other ensembles outside of school; many others give up playing their instruments altogether. To maintain a high-quality marching band. The discussion that evening lasted 2-1/2 hours; it was heated and emotional. In late December, Mr. Gonzalez presented two proposed updates to the program of studies—a compromise between the band department’s position that marching band is an essential component of a student’s instrumental music education, and parents’ and students’ desire for greater choice and flexibility. Update 1: Amend Program of Studies Concert Band Description to read: grades 9-12. Concert Band (intermediate band) has no marching band requirement for participation. This change allows all interested wind and percussion students to participate in the band program regardless of marching band interest or extracurricular activities. Students may participate in all VBODA sponsored events including All-District, All-State, and Senior Regional Orchestra Auditions, and Solo & Ensemble. Update 2: (Pending School Board Approval) Wind Ensemble (advanced band) students who participate in Marching Band will be enrolled in Wind Ensemble “honors”, earning 4.5 credits for an “A”. Students will be credited for the extra time and effort required of marching band such as weekend events, parades, football games, etc. The “honors” designation will increase interest and participation in the marching band because high-achieving students will not be penalized for taking a 4.0 credit class. Symphonic Band (advanced band, 9-12) and Wind Ensemble (advanced band 9-12) will continue to have the marching band requirement. Students participating in a fall VHSL sport at TC Williams High School will continue to be exempt from the marching band requirement. While parents are quite supportive of Update 2—it’s similar to one of the proposals that the parent group included in its recommendations—the response to Update 1 has been mixed. Some of the parents feel that this is clearly a constructive change given that students will now have the opportunity to continue playing in a seated band with no marching band requirement at all for all four years of high school. 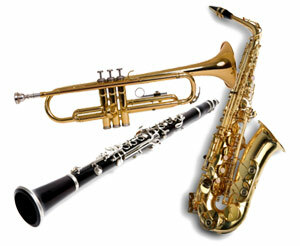 Other parents point out that playing in the Concert Band will be a huge disappointment for motivated student musicians coming out of a challenging middle school band experience, who are playing concertos in their private lessons, and who plan to pursue music in college either as a major or minor field of study, or as an extracurricular activity. It’s questionable whether this group of students will decide that four years of a beginning band is the best use of their elective courses. If these students were promising future science or math majors, would anyone think of suggesting that they should enroll in an entry-level math or science class for four years? Joining the cross country team has always been a popular marching band avoidance strategy, and that won’t change under the program of studies updates. And the number of marching band participants is unlikely to be diminished, either. The marching band is a vital part of the T.C. experience for many students. Like other extra-curricular activities, it builds friendships, strengthens students’ connection to the school and community, provides leadership opportunities, and promotes school spirit. Like sports, it demands discipline, physical exertion, attention to detail and teamwork, as evidenced by the hours of practice and dedication required by the band this fall to prepare for their half-time performance at the Sugar Bowl in New Orleans. It’s possible to have a first-rate wind instrument program within the confines of the regular school day. Many parents know from our own personal experience that a top-flight music program can be built without a significant time requirement outside the regular school day other than the occasional evening concert. In the right situation, students will perform at a very high level because they want to be part of a great music-making organization, and because they will have the privilege of working with great, inspiring music instructors. Marching band is not a high-return investment of time in building students’ musical skills. The stresses, strains and adversities of a marching-band experience may be one way to build group cohesion and to teach other life skills. But if our shared goal is to build great musical organizations, then why not invest that time in teaching and learning music rather than mastering footwork? Parents of previous classes of high school students, both at T.C. and at other area schools, smile knowingly when they ask why our own two children are no longer part of the high school band program. It has always been that way, they tell us. It’s never going to change. In fact, it may change if high schools are no longer willing to sponsor football programs because of the concussion risks to teenage players. The father of a freshman band student at T.C. told me last week that he has reservations about his daughter being in the marching band because of the supporting role it plays in a dangerous sport. In the meantime, the band plays on, without the contributions of more than a dozen former All-District and All-State musicians. ACPS has made a tremendous and valuable investment in the musical education of our two children and many of their contemporaries, but those students have to look beyond T.C. to reap the rewards. *Including my husband and me.